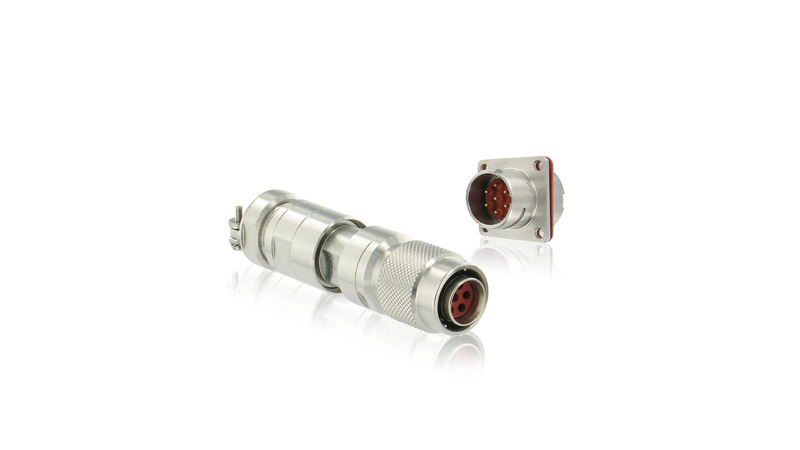 The 8N45S series is a RCC-E K2 qualified nuclear grade connector range. This series has been designed to answer the EPR requirement and is derived from the 8N45 range. With approved component materials, our connectors meet the highest radiation levels and harshest nuclear environment. Esterline Connection Technologies - SOURIAU range complies with the main nuclear industry standards (RCC-E and IEEE). The integrated cable clamp with shielding continuity, developped for the Generation 3 reactors, allows a good resistance to traction while reducing the shell-to -shell resistance (≤ 20 mΩ) and achieving a EMI/RFI protection over a wide frequency range. As a standard RCC-E K2 Qualified product, quality documentation proving the design and manufacturing process is delivered with every batch of connectors. The quick connection system (bayonet type) allows an easy mating and a quick maintenance. 6 sizes are available, from 3 to 37 contacts, making this series usable with a wide range of application. The 8N45S connectors are supplied worldwide.